There are the smartphones and laptops we use every day, and then there’s Next Leveltechnology. In this new Verge video series, senior editor Lauren Goode takes you behind the scenes to show you the technology that’s being worked on at some of the world’s most innovative companies and research institutions. From modular airplanes to prescription video games to Hollywood’s attempt to hack your emotions, Next Level will show you the technology that has the potential to radically change the way we interact with tech. Commercial flying is, for most people, a mediocre experience at best. Unless you shell out for an upgraded seat, you’re generally stuck with little leg room, tepid meals, and nowhere to go for hours or more — all for an average airfare of $350 in the US. Add in recent events, involving overbooking, passenger apparel choices, and dead pets, and the airlines aren’t exactly winning the hearts of customers right now. 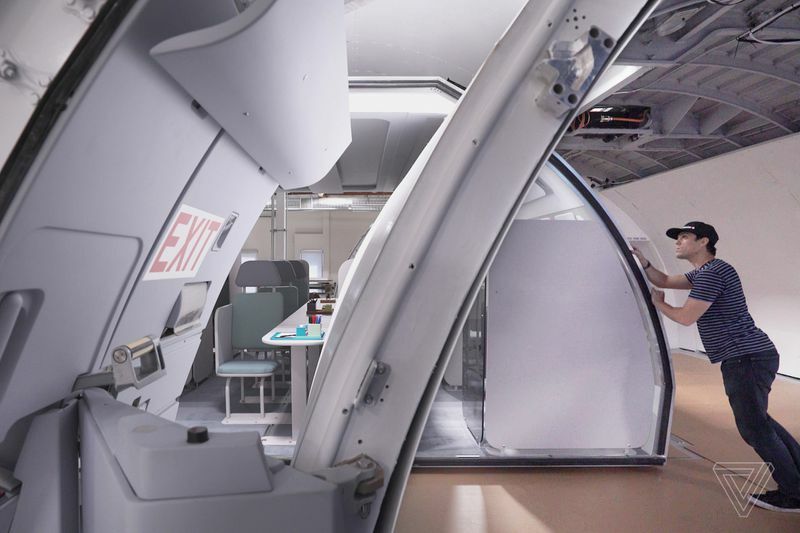 This is the problem that Airbus thinks it can solve with Transpose, the wild modular cabin concept that it first revealed to the public last December. 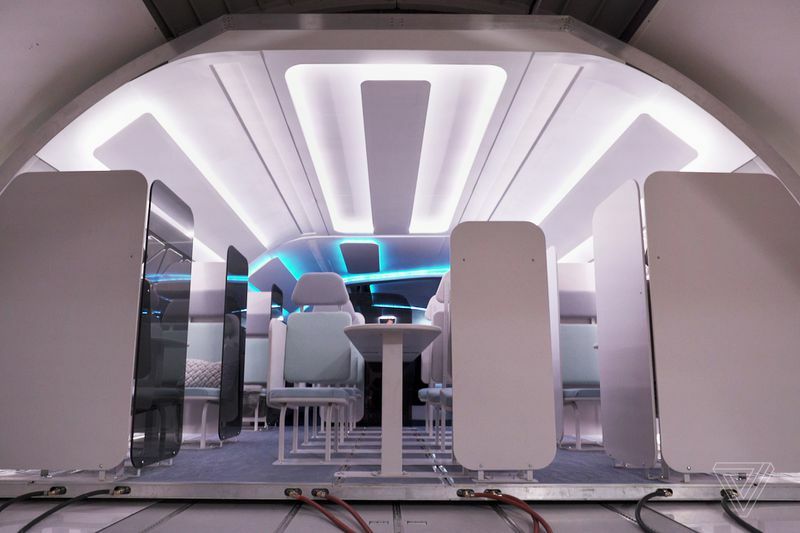 For the launch episode of our new video series Next Level, we got the exclusive first look inside A³, Airbus’ Silicon Valley labs, and experienced the modular cabin concept in a full-sized mock-up of an Airbus A330. Transpose borrows its concept from cargo planes and applies it to passenger planes — the idea being that instead of loading goods into an aircraft, you could load modules with experiences onto the plane. All of this would happen in under an hour, according to the Transpose engineering team, and the mods would be prebuilt with experiences. These would range from coffee shops to co-working spaces, to day cares and spas, or even a cycling studio. That all sounds great, but there are some potential hurdles to consider before Transpose actually… takes off. The engineering team still faces design challenges, as is pointed out in the episode. There are also the economics to consider: Chua says Airbus thinks these modular cabin seats would be priced at the premium economy level, but that’s if they maintain the same seating density as a standard aircraft; and ultimately, the airlines will determine pricing. There’s also the not-so-small matter of regulatory approval. Transpose has said it hopes to have a Transpose-enabled aircraft flying “within a few years,” and that it has already entered into conversations with the Federal Aviation Administration. Rui Neiva, a policy analyst at the Eno Center for Transportation, thinks that may be an “aggressive schedule” given how strict FAA rules are, as well as international regulatory bodies. The FAA declined to comment on this specific project, but pointed out that the certification process can take anywhere from less than a year to more than five years, depending on the complexity of the project and the experience of the manufacturer. At the very least, Airbus certainly has a lot of experience building planes. There’s some form of a precedent for this: in the 1960s, Boeing had a variation on the 727 that included a convertible “Quick Change” option, with seats and galleys attached to removable pallets. The 727 was in production for more than two decades. It could also, of course, make things more enjoyable for the customers who are flying. And who wouldn’t want that?